froglogic will be present again at the QtDay 2016 in Florence, this time from April 29th – 30th 2016. April 30th – At our booth (right in front of the conference facilities) we are showing live demos, testing BDD and embedded HMIs using Squish GUI Tester! 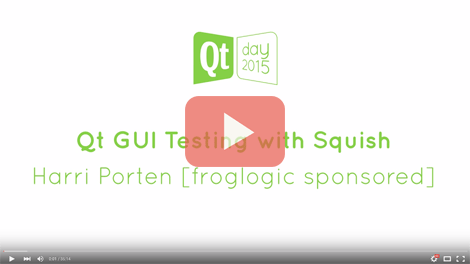 If you would like to schedule a meeting at QtDay 2016 with a representative of froglogic, please contact us. More information about QTDay 2016 in Italy.